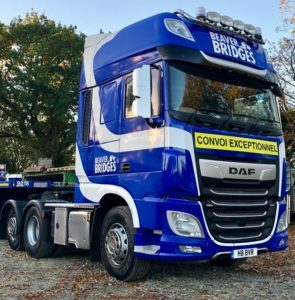 Beaver Bridges (UK), which offers custom bridge solutions in the UK and across Europe, has just received a new DAF XF 530 FTR from Greenhous Commercials in Shrewsbury. The truck has been used to transport bridge sections and plant on a step frame trailer to a project in Ireland. 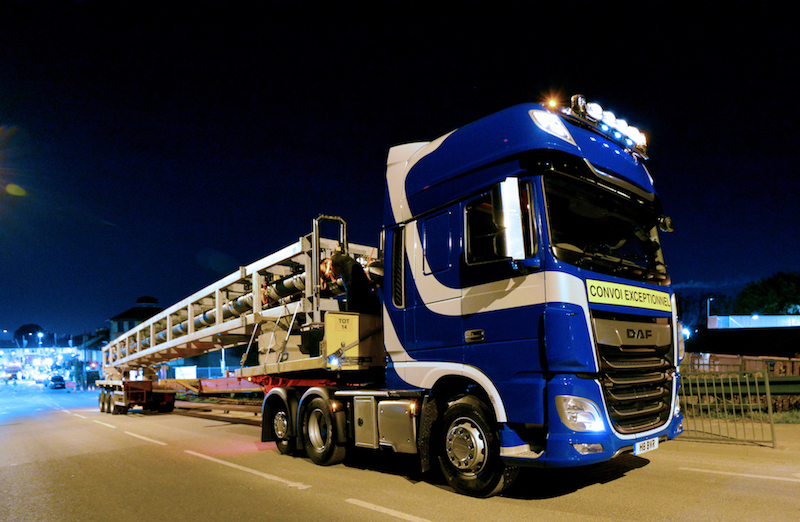 “The DAF product is cost efficient, flexible and has a new Euro 6 engine which we had heard good thinks about. The cab comfort is also very important as our driver will be away from home for several days a week,” said Henry Beaver, Managing Director of Beaver Bridges.